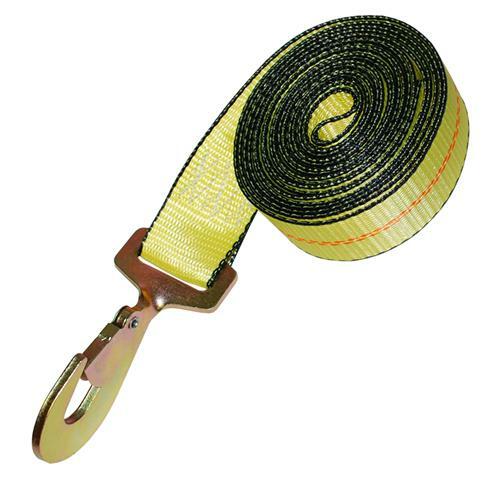 These winch straps with Snap Hook use Heavy Duty USA Made webbing with Edge Protection to increase the life of your straps. These straps are great for use in the flatbed trucking industry and for other uses. These straps can be used with a 2” Ratchet. These winch straps are custom made to your specifications. You can choose the webbing color, type of hook, and length.